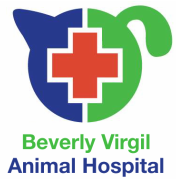 Situated in Los Angeles, CA, we have been ﻿providing exceptional care since 1988. Regular office visits are on a walk-in basis so your pet can receive the attention they need as soon as possible. We are so thrilled to have opened our doors this month! In addition to the new facility, we have improved equipment and more to provide even better care for your pets. We hope you're as pleased as we are with the new renovations! This website is a work in progress, so keep a lookout for new additions soon!